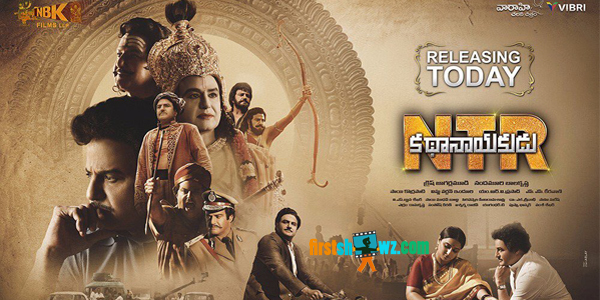 Nandamuri Balakrishna's most prestigious biopic on Legendary Actor Nandamuri Taraka Rama Rao is finally in theatres on a grand scale all over and the film gets extraordinary response among fans and movie lovers. Krish has directed this film and NBK Films in association with Vaarahi Chalana Chitra is producing this film. Music Director MM Keeravani has composed music to this epic film. The film casts huge with Vidya Balan, Sumanth,Kalyan Ram, Hansika, Rakul Preet, Nithya Menen, Payal Rajput and all in prominent roles. We at firstshowz.com would like to take an genuine review from the visitors and check out thier opinion with a simple poll below.